After being pitted against Kirk in a Klingon version of the “no-win scenario,” Kargh would hunger for the day when he and Kirk would meet for real. His hunger is soon satisfied! Starring John Carrigan, Anne Carrigan and James Cawley, the vignette features appearances by Larry Nemecek, Jeff Quinn, Julienne Irons, Andy Bray, and Paul R. Sieber. Written by Erik Korngold, directed by Erik J. Goodrich, and with updated VFX by Pony R. Horton and Tobias Richter of The Light Works. 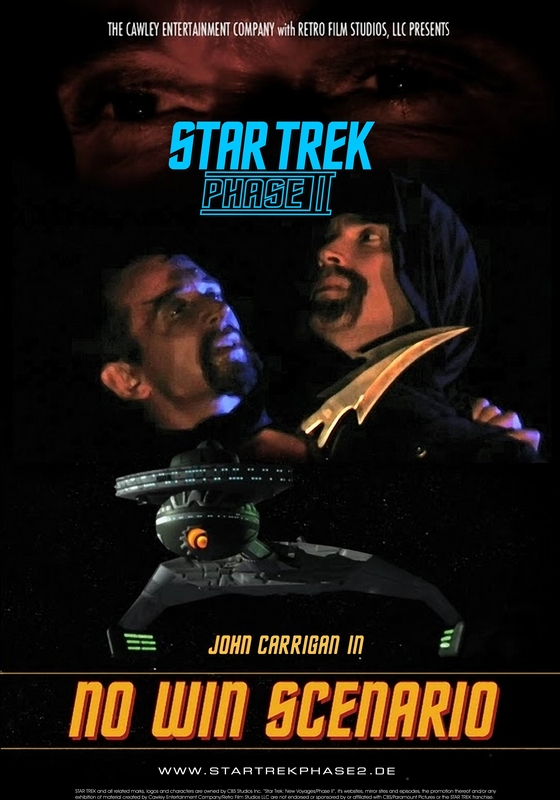 Presented as a surprise birthday gift from John Carrigan to James Cawley on set in June 2011, it is now available for fans to enjoy this historic look back at what was then “Star Trek: New Voyages”!